Schools and youth groups are an important part of the community around St Catherine’s Hospice and we have an exciting art project especially designed for young people. Our HeART to Heart art trail will be taking place across East Surrey and West Sussex this summer and we would like to invite schools and youth groups to be a part of the trail by joining our Young Hearts project. A local artist has designed our unique, mini-hearts for schools or groups to customise. 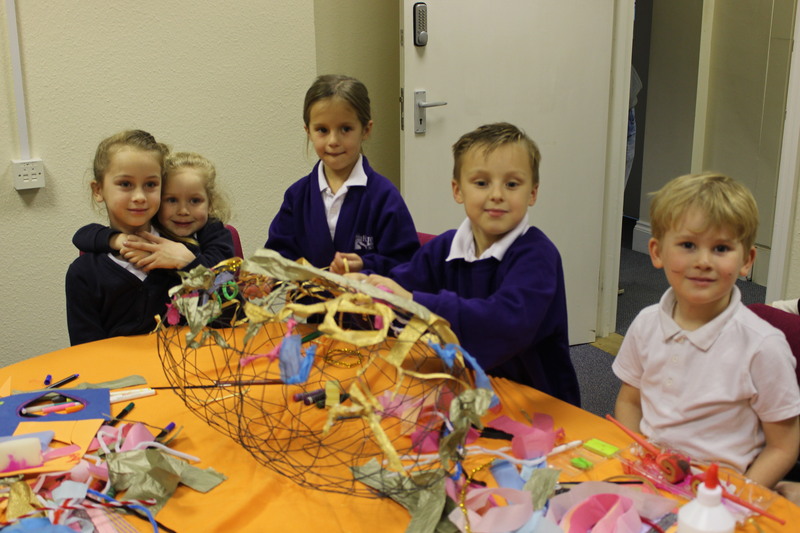 Each heart has been hand-made to create a beautiful, wire-framed structure that encourages children’s creative freedom, and allows their own designs to shine through. The hearts will form part of our wider community art trail in July 2019, which will run through the towns and villages where we provide expert end of life care. The community trail will be made up of larger, fibre-glass heart sculptures, uniquely designed by local artists and individually sponsored by local businesses and organisations. Mini-hearts will be displayed in public, internal spaces such as libraries and shopping centres. To take part in our HeART to Heart project we ask that you commit to raising £500 or more to have one of the mini-hearts. We will provide you with a heart for your young people to create their heartfelt design, which would need to be completed by end of May 2019.